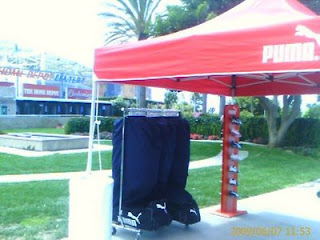 Last week (Sunday, 6/7/09), I got the opportunity to spin for Puma at the Home Depot Center before the LA Sol soccer game. 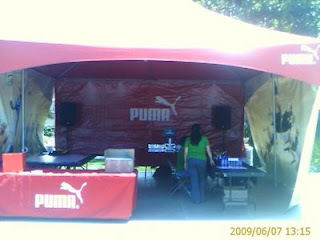 I was situated inside their big tent in front of the stadium. 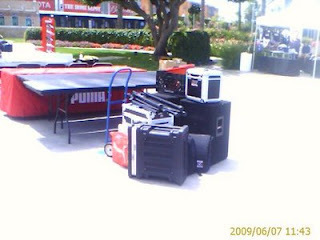 The music criteria was "clean versions of top 40" so it was fairly easy to pick which songs to play. The hardest part was making sure the songs I had were clean versions. I should go through my library again and label them accordingly. 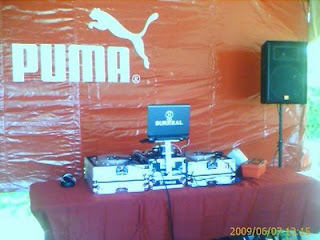 It was a great experience and I met some really nice people from Puma. 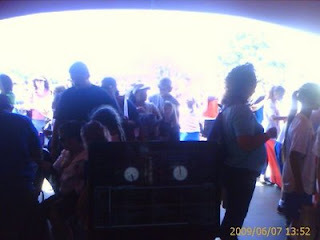 Hopefully I get to work with them again.